Finally, a neutral market is exactly what you think it is: A market that is more or less balanced in terms of buyers and inventory. 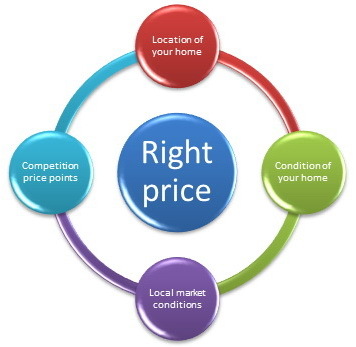 The market you’re in when you list your property should be a factor in your pricing strategy. Essentially then, your property has three different prices. One for a buyer’s market, one for a seller’s market and one for a neutral market. All things being equal, with a list of true comps at $150,000, for example, and leaving a little wiggle room for negotiation, in a buyer’s market, you would price it at $149,900, but expect to sell at $145,000, while in a seller’s market you can ask more than the last comparable sale, up to perhaps $165,000. And, in a neutral market, you might want to set your price at the last comparable sale and then adjust for market trends. So, if the median sales price has edged upward at a rate of 1% per month, you’d be justified to ask for $154,500.